Fifty-two-year-old Tracy Garcia was outside her home when she was killed by a pack of daschunds in Ardmore, Oklahoma on May 10, 2018. The dogs belonged to a neighbor. Three females and four male daschunds were involved. All were under 40 pounds and ranged in age from about 1 to 3 years. Police shot and killed one dog, and the other six were euthanized. Information is sketchy about the incident, so it is difficult to say with certainty the circumstances in which the incident happened. Online news stories report that the dogs were loose and that most appeared neglected, and the dogs are owned by the person on the adjacent property. One can only speculate about what prompted these dogs to attack Ms. Garcia. Perhaps she provoked the dogs in some manner or that there was ongoing hostility between her and the dogs, or possibly between her the owner of the dogs? Also, with all fairness to the breed, news stories report that the dogs involved were mixed daschunds. Hence, they were not pure-bred. And it is not known what other breeds the dogs may have been mixed with. Perhaps Jack Russell Terriers, a notoriously aggressive breed. I know of no dog bite fatality in which daschunds have been implicated. And it is well-known that most fatal dog attacks in the United States involve pit bull and mastiff type dogs, and occasionally Rottweilers. However, as demonstrated in the current instance, daschunds kept in groups, perhaps by an irresponsible owner, have the potential to become dangerous and possibly kill a person. Moreover, epidemiological studies published in the animal behavior literature suggest that that poorly trained, unsocialized, poorly bred, reproductively intact male daschunds, or for that matter any breed of dog, bite and kill people at disproportionately high rates. That being said, this tragic incident in Oklahoma provides some insights into dog bite safety, which I elaborate upon below. 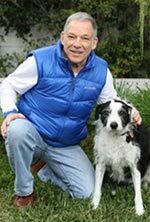 More information on dog bite safety is presented in another section of this website. First, a pack of dogs running loose, regardless of breed, may pose considerable danger to public safety. This has been the fact pattern in many fatal dog attacks. 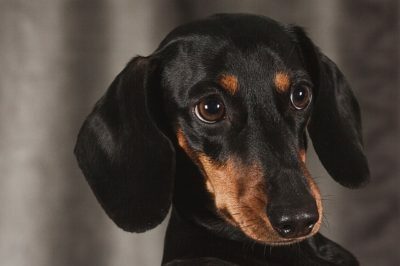 Second, Daschunds are not necessarily the docile breed many people make them out to be. A report published in a peer-reviewed animal behavior journal found that Daschunds along with Jack Russell Terriers and Chihuahuas overall were the most aggressive breeds. Third, other fatal dog attacks have involved Daschund mixed dogs. One happened in a well-publicized incident in Philadelphia in the late 1980s. This deadly dog attack involved a group of mixed Daschunds who lived with a disabled elderly lady (the victim). These dogs were tested individually and together as a group. When examined separately each dog was okay, but when brought together as a pack their aggression returned. Fourth, never act in a provocative fashion to an unknown group of dogs. Yelling at the dogs or trying to shoo them should be avoided. In the incident under discussion, not much is known about the circumstances surrounding this tragic incident involving Ms. Garcia. For example, we do not know how she acted when she first encountered the dogs. Did she engage in any behavior that may have facilitated or provoked this attack? As a proactive measure, immediately report to animal control any pack of dogs (or for that matter any individual dog) that regularly roam free in public areas. If you know the owner of the dogs, complain, take photographs for evidence, and follow-up with complaints to the police and local animal control. Do not feed a pack of dogs. Fifth, anyone who is alone and encounters a loose pack of dogs should be concerned for their safety. The situation is too unpredictable, particularly if the dogs are large or if they are a pit bull type or mastiff type dog. Slowly walk away, never run, and if the dogs approach to investigate, remain motionless. Avoid eye contact. If one of the dogs begins to attack and you fall to the ground cover your neck and face. Collapse into a ball. This is your best defense. Rapid blood loss through punctures to the jugular vein or carotid artery are the usual cause of most fatal dog attacks. Dogs kill approximately 35 people each year in the United States, mostly the elderly and the young.